When it comes to creating a unique and meaningful memorial service for someone you loved, the possibilities are limitless. Some families use colour and vibrancy (and even fireworks!) to celebrate a loved one’s life. 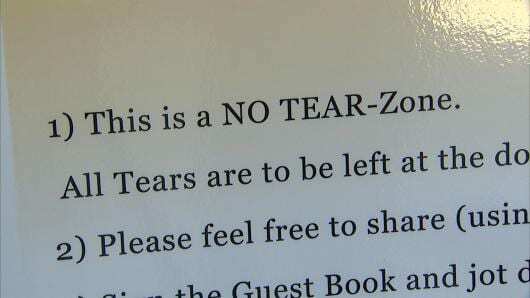 Others take a collaborative approach by asking guests to share their memories of the deceased with photos or quotes. No matter what mood a family is aiming to create, or what send off they want to give a loved one, there’s a way to tailor a memorial service to achieve those objectives. Last week, we brought you part 1 of what we think are 15 truly unique and meaningful ways to honour those we love and miss. Here’s part 2. A butterfly release is a modern take on the more traditional dove release. Butterflies are symbolic of life, and many cultures believe the butterfly is linked to our souls. As the flutter of colourful wings takes flight, invite guests to think back to their favourite memory of the deceased. 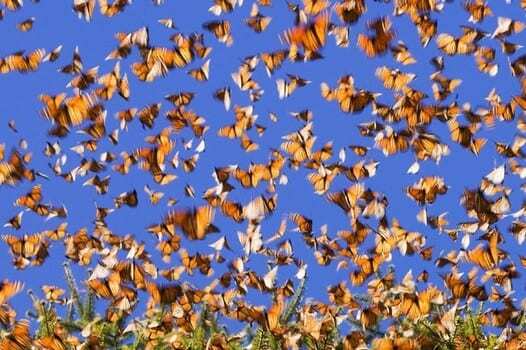 Some families choose to read a poem or prayer as the butterflies are released. 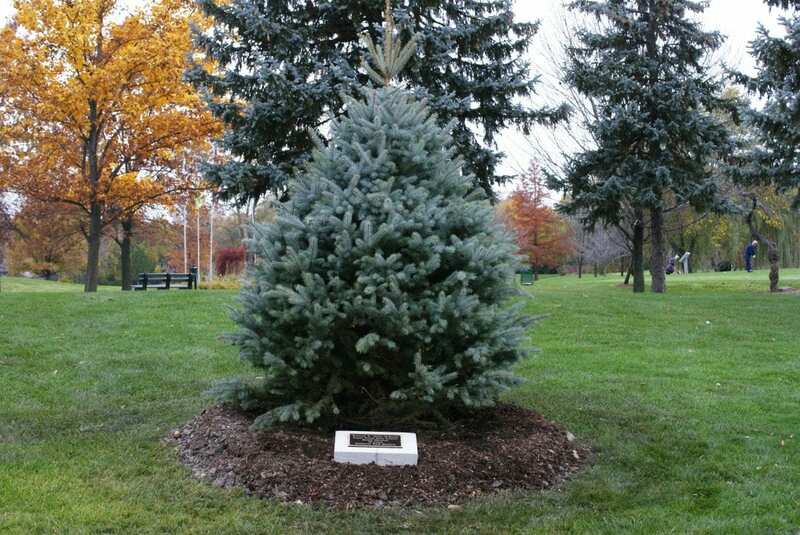 A meaningful memorial service idea that suits outdoor burials or services is to plant a memorial tree, perhaps in a location that holds special memories for the deceased’s family. An optional plaque can be included noting the loved one’s name and dates of birth and death. 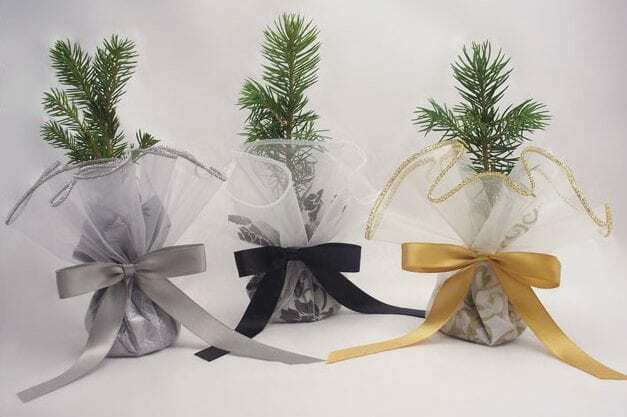 Some companies offer different types of trees that will grow using the cremated remains of the deceased. Other families take a unique approach to the memorial tree idea by distributing memorial tree seedlings to their guests. 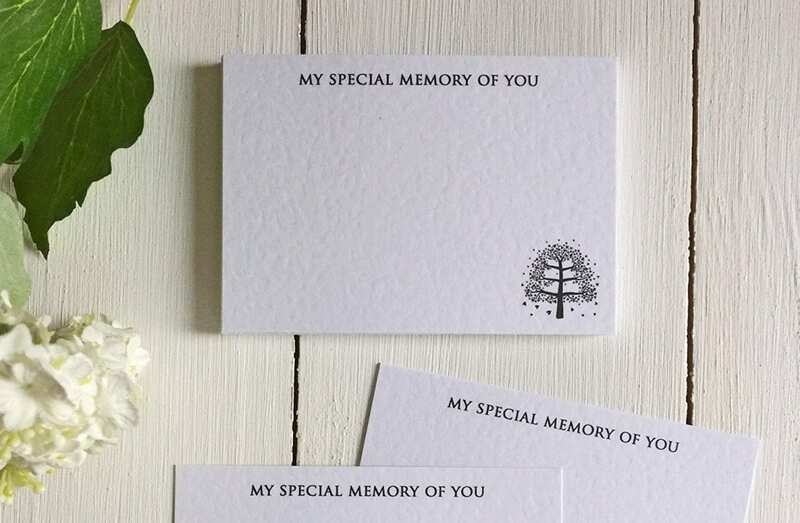 Seedlings can be planted however and wherever recipients wish with the result that, instead of one central memory tree, there are now multiple memory trees growing in honour of a loved one. A pile of memory cards and a few pens placed at the entrance to a memorial service can encourage guests to note down a special memory of the deceased before the service begins. Some families set aside time during the memorial service for guests to read their memories aloud. Memory cards can later be collected from guests, giving the family a lasting and touching record of their loved one’s life. Those families looking to focus less on the memorial service itself and more on their loved one’s continuing legacy can ask guests to make a donation (however big or small) to a memorial fund. 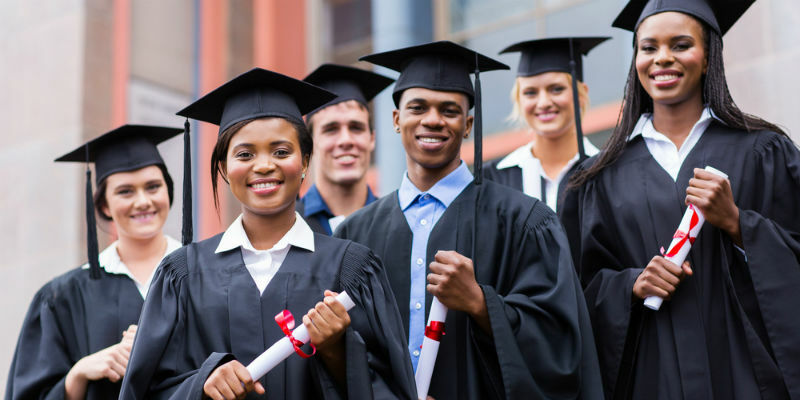 The donated sum can then be used to establish a named scholarship or provide other charitable assistance to a cause about which the deceased was passionate. A scholarship that assists a person in need to fulfil their dreams is a wonderful way to carry on a loved one’s legacy. 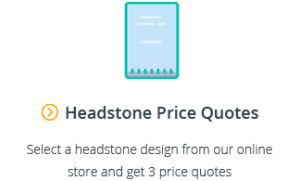 Handing out a small, personalised gift that in some way represents your loved one – or some aspect of their personality or life – is a great way to provide guests with a tangible memory of the deceased. Did your loved one have a favourite lolly or baked treat? Or perhaps you have a favourite photo of your loved one that can be printed onto a plaque, charm or other memento. Sentimental take-homes are the perfect way to keep a loved one’s memory alive amongst family and friends. 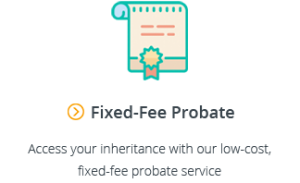 Celebration of life ceremonies are becoming an increasingly popular way of remembering and sharing the beauty and joy of a loved one’s life. These ceremonies can be held instead of or after a more traditional memorial service. 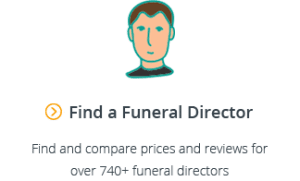 They are usually a more casual affair – there is generally no casket or urn present, and they are often held at the family home or a favourite place of the deceased (as opposed to a funeral home or religious location). 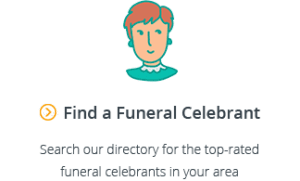 Put simply, a celebration of life ceremony can celebrate and incorporate any and all aspects of your loved one’s life – their wonderful personality, their favourite things to do, see or eat, and the light they brought to the lives of others. 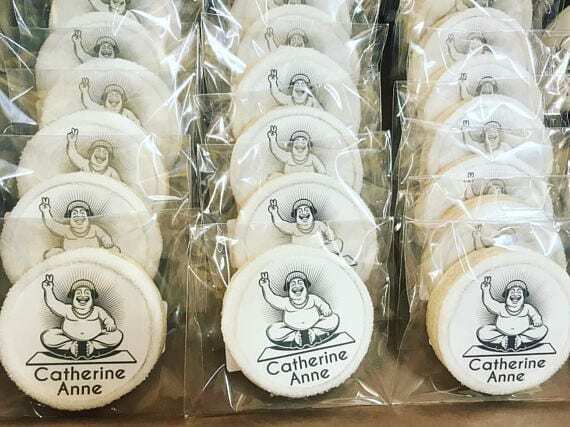 Memorial services can and do cover the full spectrum – from quiet and cosy to extravagant and loud; from planting a memorial tree in a favourite outdoor location, to biting into a personalised cookie. At the end of the day, what’s important is that the family of the deceased feels that the memorial service they choose to hold adequately and appropriately remembers and honours their loved one. Would you consider using any of our 15 creative memorial service ideas? Share your thoughts in the comments section below.